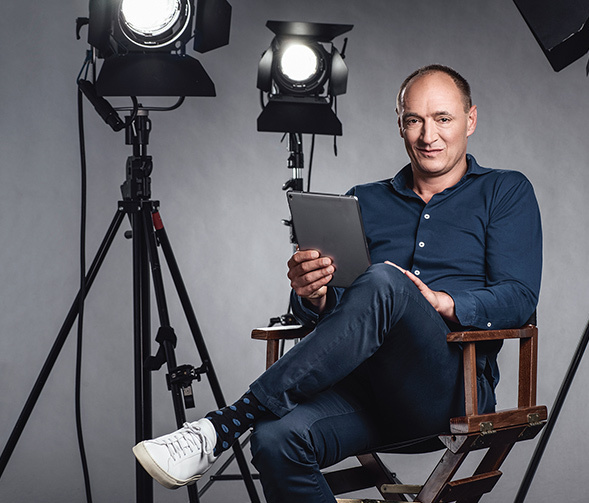 In this interview, CEO Max Conze talks about ProSiebenSat.1’s strengths, the priorities in the three business areas and the vision he has for driving sustainable growth in the company. Max, you have been CEO of ProSiebenSat.1 since June 2018. What is your view on the company – what strengths and challenges are you seeing? First and foremost, it excites me that ProSiebenSat.1 combines strong entertainment brands with equally strong e-commerce platforms. That is fairly unique. Almost everyone in the German-speaking countries is familiar with our brands and products – whether in the form of our stations, stars, programs or NuCom companies – associating them with emotions: entertainment that people love, products and services they need. And I am confident that this combination will generate a lot of value for ProSiebenSat.1 in the future. At present, our greatest challenge is the massive change in the media industry, thus the rapid digital transformation that faces us not only with new business models but also with new competitors. Nevertheless, I see this not as a threat but rather as a fantastic opportunity to transform ProSiebenSat.1 into a truly digital, diversified group that continues to grow sustainably. This is why you fine-tuned the three-pillar strategy together with the executive team at the end of 2018. What is your vision for leading the company into the future? We put consumers first in everything we do. It is our credo to consistently take the consumer’s perspective into account in every decision. On the one hand, that means for us that we aim to delight our audiences with content on every platform they choose to view our programs on. To do so, we want to make even better use of the creative power of our own Red Arrow Studios production network. On the other hand, we have focused our commerce business on four major consumer needs so that NuCom Group can grow in an even more targeted way. Our mid-term goal is thus to increase revenues from EUR 4 billion to EUR 6 billion and adjusted EBITDA from EUR 1 billion to EUR 1.5 billion, with digital business contributing at least half of the revenues. In this way, we also want to reduce our dependency on advertising. Thus, we are capitalizing on dynamically growing revenues at Red Arrow Studios, NuCom Group and non-advertising business such as distribution and the ad-tech segment. ProSiebenSat.1 offers a unique combination of strong Entertainment brands and equally strong e-commerce platforms. What areas is ProSiebenSat.1 focusing on in its Entertainment business to compete against global providers? It is important to me that everyone understands what great business entertainment continues to be and what enormous potential there is. The video market – which is the sum of all moving pictures content consumed on both linear and digital platforms – is growing. To make the most of this development, we are investing in a modern entertainment business as well as focusing on local and relevant content, including live shows, news and sports. In this way, we also retain the rights to those kinds of programs, which allows us to exploit the content in the best possible way on linear and digital platforms. We can distribute it on our own websites, apps as well as third-party platforms, and extend it with exclusive, additional digital content. For proof that this is the right strategy, look at our increasing TV audience shares and video views – our content is delighting audiences across all channels. The importance of this topic for our Group is also evident in the concerted effort that we all are currently putting into the market launch of our new streaming platform together with Discovery Communications. We are combining Discovery’s and our channels, our SVoD service maxdome as well as the Discovery Eurosport Player into one new product – an aggregation platform where German users can enjoy entertainment from news to top-notch shows and sports from a single source. What’s more, we explicitly welcome other content providers and have already won over German TV channel ZDF, among others. I am convinced that this platform will change the German entertainment market. To achieve that, the user experience has to be spot-on in every respect – we will offer usability combined with compelling technology and unique content. This is our top priority in 2019. We put consumers first in everything we do. Linear reach is declining and visibility in the TV advertising market remains low. How do you intend to generate growth in this area despite that? At the moment, we cannot yet completely measure total reach across all devices, but this should be the case in the first half of 2019. To this end, we are also working closely with the AGF video research institute. Being able to measure total reach – how many people are actually consuming our programs across all channels – will mark a major milestone for our industry, because then we can also market our total reach to advertising clients. After all, in order to spread their message, they continue to demand high-quality content and maximum reach. “Germany’s next Topmodel by Heidi Klum” is a very good example of the digital strength of our brands. This format generates in average over 1.5 m video views each day across all digital channels. The next step for us is then to make our reach smart. That means developing advertising products that offer our clients additional addressable reach. This lets them place advertising selectively – for instance according to socio-demographic criteria – and target customers more accurately. We will launch more addressable TV products in 2019 and see great potential to generate additional revenues besides the traditional advertising business. In the mid-term, we expect 25% of our entertainment revenues to come from this “smart-reach” business. The Commerce business with NuCom Group is the biggest growth driver for ProSiebenSat.1. How do you plan to develop this business sustainably? NuCom Group’s revenue growth was in the double-digits in 2018 – and this pace is set to continue in 2019. Which is why we and our partner General Atlantic are putting a lot of effort into further developing operationally each commerce company to ensure their long-term organic growth. In this regard, we are also pushing ahead on synergies with the Entertainment segment: NuCom Group benefits from the latter’s brand power, marketing expertise and new smart advertising products, while the Entertainment segment learns from NuCom’s customer focus and can make use of the generated data for advertising technologies. At the same time, we aim to strengthen and powerfully expand the Commerce portfolio through selective acquisitions. Purchasing US matchmaking provider eharmony – which is the ideal complement to our PARSHIP Elite Group – is a very good example for this approach. On this basis, NuCom Group will already generate revenues of around EUR 1 bn in 2019. This is an incredible achievement, especially considering that this business in this composition has only been a part of the Group for five years. 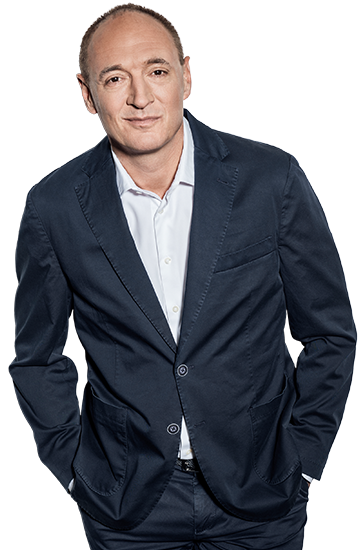 With live shows, news and sports, Max Conze is increasingly opting for local and relevant content on the ProSiebenSat.1 channels. I see the rapid digital transformation of the media industry as a great opportunity. A new Executive Board as well as a new holding structure will be introduced at ProSiebenSat.1 from April 1, 2019. How do you believe this will serve the Group’s development? I am convinced that we can lead this company most successfully into the future with an extended Executive Board. This is why, starting from April, we will have an efficient holding structure and the three pillars of Entertainment, Red Arrow Studios and NuCom Group will be led by two co-CEOs respectively. In this way, we set up the Group significantly more agile, give the operational business greater autonomy and can accelerate our transformation. Moreover, we are implementing the three-pillar structure even more consistently and in a clearer way in this set-up. The new Executive Board will comprise the three holding executives (CEO, CFO and Deputy CEO), the six co-CEOs as well as selected key functional leader (see Executive Board 2019). I am sure that with this set-up we have created an excellent basis for our future development, in which we will be able to tackle the challenges ahead in 2019 in a more targeted and effective way.